Sudanese President Omar al Bashir has been ousted by the army on Thursday, brought down by a military coup after months of anti-government protests against his three decades of iron-fisted rule. "I announce as minister of defence the toppling of the regime and detaining its chief in a secure place," Defence Minister Awad Ibn Auf said in a sombre televised address to the nation. Ibn Auf appeared on state TV, in military fatigues and said the government and the presidency were dissolved and a transitional military council would replace Bashir for two years. "Free and fair elections" will take place after the two years, the defence minister added. The country's borders and airspace would be shut until further notice, he said. Sudanese state television later showed footage of Ibn Auf sworn in to head the new Military Transitional Council, and the military's chief of staff, Lieutenant General Kamal Abdul Murof Al Mahi, to be his deputy. Ibn Auf has his assets blocked by the US Treasury since 2007 for supporting and managing militias accused of carrying out genocide in the country's Darfur conflict. Sudan's army warned it would enforce a night-time curfew, state media reported. The curfew runs "from 10:00 pm to 4:00 am, and all must adhere to it for their own safety," the army said in a statement carried by the official SUNA news agency, adding that it was "doing its duty to keep them and their properties secure". Thousands of Sudanese protesters rallied outside army headquarters despite the curfew, AFP witnesses said on Thursday night. Protesters were chanting their slogan "peace! justice! freedom!" as they thronged the sprawling Khartoum complex for the sixth night running, witnesses said. The veteran leader, who swept to power in a 1989 coup, was one of Africa's longest-serving presidents. He was removed from power after nearly four months of popular protests against his rule. 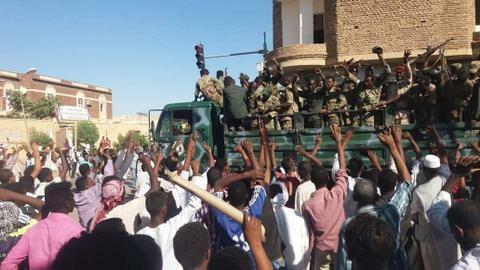 Organisers of anti-government protests rejected Bashir's toppling by the army on Thursday as a "coup conducted by the regime" and vowed to keep up their campaign. "The regime has conducted a military coup by bringing back the same faces and the same institutions which our people rose against," the Alliance for Freedom and Change said in a statement. 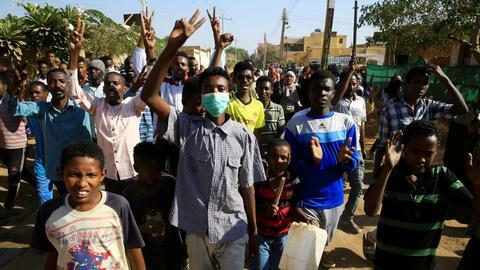 At least 13 people were killed on Thursday when security forces intervened in protests, according to the Central Committee of Sudanese Doctors. 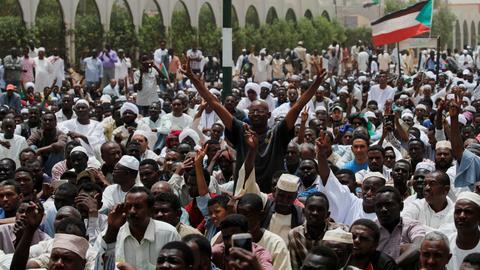 They included two demonstrators in the capital Khartoum, it said in a statement early on Friday. The committee said one person died outside army headquarters in the capital, where hundreds of protesters staged a sit-in for the sixth day in a row. The United States and five European countries called for a United Nations Security Council meeting on Sudan. Turkish President Recep Tayyip Erdogan called for national reconciliation in Sudan. Erdogan, who build up Turkey's investments in Sudan recently, said the two countries had deep relations that Ankara wanted to maintain. "My wish is that Sudan should succeed in this calmly ... and I believe it should start operating the normal democratic process," he told a news conference in Ankara. "It is my most important wish that Sudan gets over this process on the basis of national reconciliation and in peace." EU Foreign Affairs and Security Policy spokeswoman Maja Kocijancic told a news briefing in Brussels: "We are closely monitoring the situation and following the developments on the ground and call on all parties, first of all, refrain from any violence." The EU calls for a “peaceful, credible, legitimate and inclusive political process,” in the country, Kocijancic said. 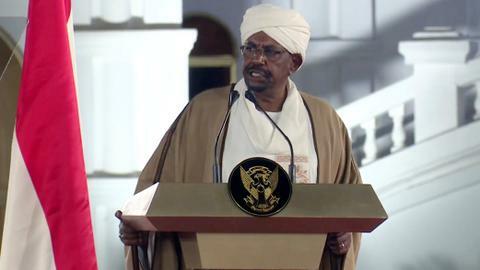 The United States urged Sudan's army to bring civilians into government after the ouster. Washington calls "on transitional authorities to exercise restraint and to allow space for civilian participation within the government," State Department spokesman Robert Palladino told reporters. 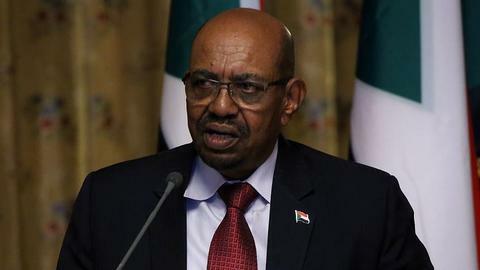 TRT World's Usman Ali Uba has more on the unpopular Sudanese leader. Shortly after the announcement, Twitter users circulated photos showing former detainees being welcomed by protesters. Bashir, who is wanted by the International Criminal Court on charges of war crimes and genocide, came to power in a 1989 coup. He is one of Africa's longest-serving presidents.